James J. 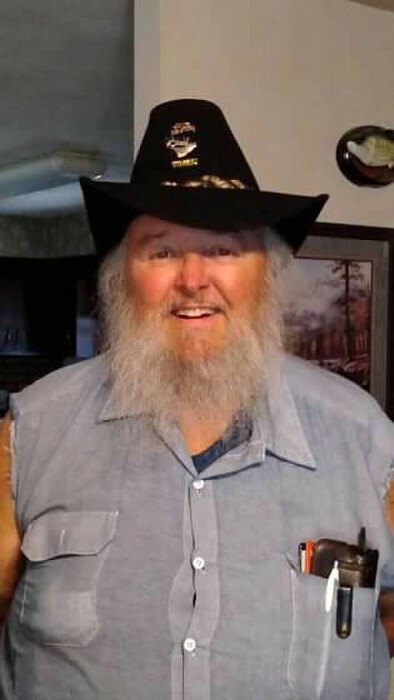 “Jim” Weber, 73, of Peosta, Iowa, passed away peacefully on Friday, November 2, 2018, with his daughter by his side. A visitation will be held from 2:00 – 6:00 p.m. Tuesday, November 6, 2018 at the Leonard Funeral Home & Crematory, 2595 Rockdale Road, where a memorial service will be at 6:00 p.m.
Jim was born on October 1, 1945 in Dubuque, one of four children of Burdette “Jack” and Darlene (Noggle) Weber. On July 12, 1996, he married Karen Sheppard, the love of his life. He held various jobs in his younger years and often said he should write about a book about some of his experiences. He worked 30 years at John Deere and retired as an Inspector in the Engine Division in 2002. He told many fond stories about working there and it was where he met some of his closest friends including Doug Oberfoell. Doug remains his best friend to this day and there wasn’t a thing he wouldn’t do for Jim. He was a member of the UAW Local 94 from his first day and strongly believed in his union. Jim was a passionate hunter and fisherman and spent a lot of his life doing both. He was a member of the Rocky Mountain Elk Foundation for over 20 years and never missed a banquet. He belonged to the National Rifle Association for over 30 years and had a collection he was proud of. In the Rendezvous circuit, he was known as “Mountain Man” and loved buck skinning and black powder reloading. To his daughter he was “Papa Bear” and was very protective of his “cub”. He was a man of many stories and many phrases as he loved to make his friends and family laugh. No matter what he was eating, he would say “it tastes like chicken”. His smile and warm personality will be missed by many and in his final days, he was deeply touched by all the people that came to visit him. He is survived by his daughter Tina; his brother Kevin (Kathy) Weber; nephews Gabe & Kristopher Weber; niece Kara Weber, all of Dubuque, grandson Logan Weber and two of the greatest aunts anyone could have, Dolores Stillmunkes and Rainee Shaffer. He was preceded in death by his wife Karen, his daughter Fawn, his parents Jack & Darlene, his brothers Jerry and Joseph and his beloved uncle Butch Noggle. A special thank you to Hospice of Dubuque, especially his nurse Edna, Dr Cao, Dr Hermann and the staff of Hawkeye Care Center including Larry, Cris and Courtnie.